Spare a thought for Afamasaga Su’a Pou Onesemo. He is the former Chief Executive Officer of the Ministry of Works, Transport and Infrastructure who had his contract terminated by Cabinet last year. When the allegations surfaced, an investigation was immediately launched. At the time, the Attorney General, Lemalu Hermann Retzlaff, issued a statement saying: “I can confirm that a formal Police investigation was launched on 6th June 2018 by the Ministry of Police Criminal Investigation Division, in view of a complaint alleging corrupt practises by a Government C.E.O. “I cannot otherwise reveal actual details of the allegations at this time, as the matter is now the subject of a Police investigation. Without a doubt, the nature of the allegations sent out a shockwave throughout the country, especially being made against such a senior public servant. But Afamasaga was defiant, protesting his innocence from the moment this matter became public. In fact, he counter-accused Mr. Bansal and Ascent Navals of being corrupt themselves. 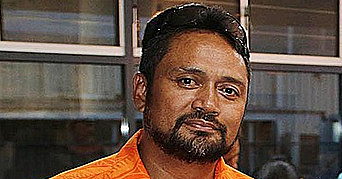 Afamasaga insisted his decision to remove Ascent Navals motivated the false allegations and that he welcomed the investigation by the Ministry of Police. That was June 2018. Afamasaga was later suspended and investigated. The outcome of the investigation guided Cabinet’s final decision to terminate his employment, which was announced by Prime Minister Tuilaepa in November last year. “We have validated the recommendation submitted by the Public Service Commission (P.S.C.) after their lengthy and thorough investigation into allegations leveled against the C.E.O. We decided to terminate his employment contract following the recommendation,” Tuilaepa said. “He was also given the opportunity to respond to the charges against the allegations leveled against him. The decision by the P.S.C Commissioner follows results that he breached his contract and breached values of honesty; hence the decision by the P.S.C. to terminate his contract. With that said, Afamasaga was promptly removed. The Ministry of Works, Transport and Infrastructure moved on and have since hired a new C.E.O. We all thought this was the end of the matter. But it wasn’t. Two weeks ago, the Office of the Attorney General and the Police revived the matter when they announced they would not file any criminal charge against the former C.E.O. In a joint statement, they said: "A complaint was received from overseas company directors who were seeking flag barriers from Samoa’s M.W.T.I. alleging corrupt practices by the former CEO of M.W.T.I," the statement reads. “A police investigation into the allegations was launched. The file was then subsequently sent to the A.G’s office for their review and at the culmination of the review, both the Police and A.G.O. were of the same final opinion, that criminal charges should not be filed against the accused. “The overseas witnesses involved, their current location and the strong possibility of self-incrimination, means that this matter cannot properly be pursued in Court." For Afamasaga, the announcement re-opened old wounds. “From the start I maintained that these were malicious and ill provoked as part of the Indian’s set up plan,” he said. “It has really taken a toll on me and my family. It has caused irreparable damage beyond compare. It has ruined my reputation beyond measure. “The A.G. was so adamant there was a case for me to answer and immediately ordered an investigation. The A.G. ordered the investigation even before P.S.C. launched its own. Afamasaga also claimed he was mistreated. Adding insult to injury, two weeks ago, Afamasaga said the P.S.C. has still not told him the official reasons for his termination. “I don’t know why it’s taking this long. But the waiting is frustrating. If you read on the social media and on the paper, I’m like criminal already. And that’s why I need to clear my name." Truth be told, it’s hard not to feel for Afamasaga. The poor man has had his career destroyed, his reputation ruined and his good name soiled beyond repair. How the Government is going to attempt to fix this one, it’ll be very interesting to see. Mind you, all this headache could have been avoided and easily dealt with from the very start if the relevant authorities read a story titled “Ex-Indian Minister who raised corruption allegations queried ” published by the Samoa Observer on 15 June 2018. The story revealed that the ex-Indian Minister who accused Afamasaga was himself corrupt, and had resigned from his position amidst allegations of bribery and conflict of interest.